Screen printing is a traditional printing technique where ink is transferred onto textiles, plastics and other materials. To achieved this we use a fine mesh stencil called a screen for each colour. Consequently, prints with multiple colours need a separate screen for each and only one colour can be printed at a time. Due to this, each ink colour has to dry before the next one can be printed. With a keen eye, we carefully hand mix all our inks to match the colours used in your design. A rubber squeegee blade is used to squeeze the inks through the mesh stencil (the screen) one colour at a time. Manual and automatic printing carousels are used as a result we are able to offer highly competitive prices. 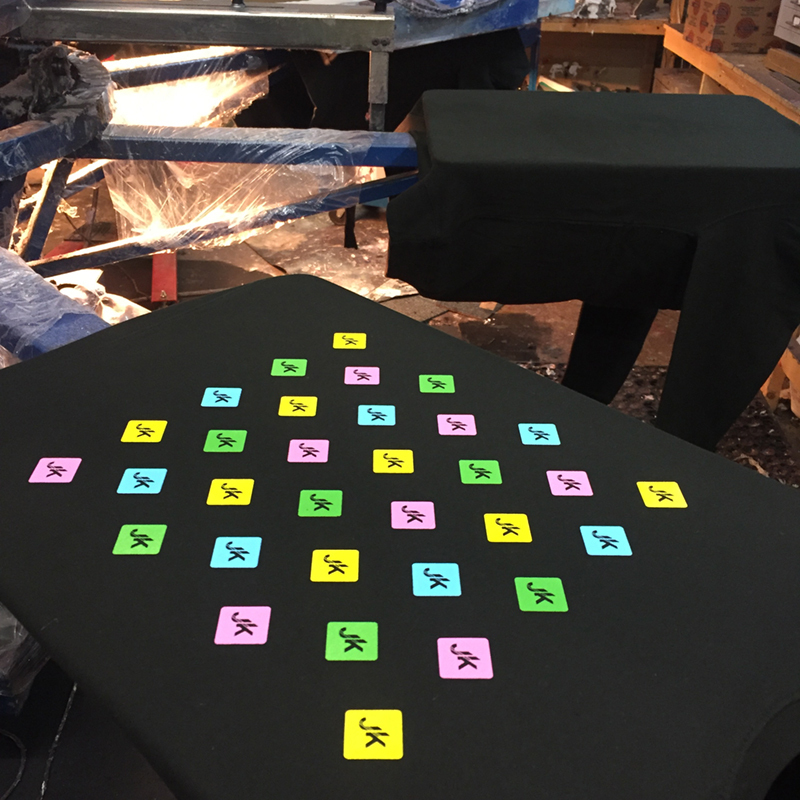 Giving the same great service, whether you are a local independent business with a limited run, or a nationwide brand requiring precision screen printing on thousands of garments. 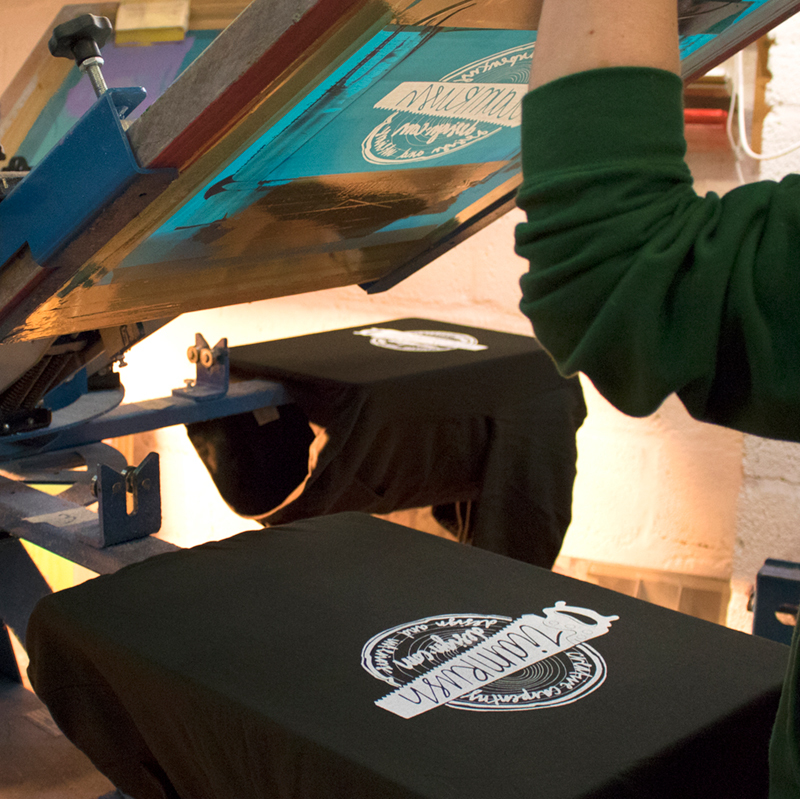 Since 1991, our dedicated print team has been perfecting the art of screen printing to give each and every customer consistently high quality results. Although we offer competitive rates on small print runs, typically larger quantity runs are most cost effective. From our print studio we can supply a huge range of garments that are perfect for your printing and embroidery requirements. Check out the extensive range of quality garments available in our online catalogue. You can also supply your own garments, but please check with us before you order to make sure they are suitable for printing on. We are alway available to offer advice on everything from garments, graphic design to the best colours to use for maximum impact. Drop us an email or call on 0117 9739 020 so we can help you make the best decision with your order.